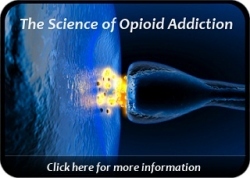 There is growing interest from a number of entities in regard to America’s opioid addiction problem, methadone treatment, suboxone treatment, and the always important funding considerations that accompany these subjects. This interest is coming from hospitals & the larger medical establishment across the country, your local community, the Federal government’s Medicaid services division, your State’s Division of Health and Human Services who allocate state dollars for opioid treatment, private insurance companies, employers, and the list goes on and on. The nationwide costs and consequences of addiction are enormous. The cost of treating addiction is also very large. However, research has proven repeatedly that addiction treatment produces undeniable cost benefits. In other words, treating addiction saves money in the long run by helping addicted individuals arrest their disease and become functional again. For many of the entities listed above, it’s all about the dollars. And more specifically, saving dollars when it comes to treating addiction. The U.S. economy has been hit hard and we have a growing number of people depending on entitlements and public assistance. This, of course, creates a scenario in which more and more people are relying on a “government pie” whose slices keep getting cut smaller and smaller. The recent reductions in funding for public addiction programs have caused some agencies to close their doors … while other agencies simply had to cut back on the services they are able to offer their addicted clients. An important consideration, which may become a hot topic soon, is how much counseling a methadone or suboxone patient can receive. Or, how long he or she can remain on their opioid replacement medication before public assistance funding begins to stop. Medicaid and State dollars presently help to fund the treatment for many opioid addicted clients in programs. There are currently more people in need of opioid treatment than there are funds available to pay for that treatment. 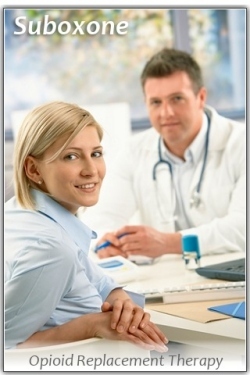 So inevitably, patients may find themselves needing to help pay for their treatment. I would not like to see patients be pressured to taper off of methadone before they are ready. Experience has shown us that gradual tapering, initiated & paced by the client, is the most successful means of coming off of methadone or suboxone successfully. Government public assistance is becoming more like private “Managed Care Organizations” with every passing day. As this paradigm continues to evolve, we may possibly see time limits of some sort imposed on methadone & suboxone maintenance clients. Some may view this as reasonable and necessary since such limits and caps are already applied to recipients of other health care services. If time limits are ever applied to one’s length of time on methadone or suboxone, we will likely see clients increasingly picking up the funding for their opioid treatment. This happens everyday around the country in private, self-pay methadone clinics. In the end, we know that opioid replacement therapy works. It’s been proven! The availability of Medicaid and State funding is a great benefit to many people across the country. How this might change in the years ahead will bear close observation.